The modern Pontiac V8 was introduced in 1955, displacing 287 cubic-inches. Over the years, displacement increased several times, but external dimensions remained about the same. The Pontiac 389 engine was produced from 1959 to 1966, and has a 4.06" bore and 3.75" stroke. The cylinder bores in my 1965 GTO motor measured .040" over. There was no ridge on the cylinder walls and all were in allowable tolerance, so re-ringing the pistons was all that was needed. However, due to the unpopular size of the over-bore, I had to special-order the rings from Sealed Power. After inspecting the pistons and connecting rods, the crankshaft was measured, showing .010" under on both the main and rod journals. While the crank and rods were at the machine shop being balanced, I cleaned and honed the block. I had previously rebuilt a 400ci Pontiac motor from a 1969 Firebird, so I was aware of the tricky two-piece rear-main rope seal. Installing it so it doesn't leak requires one side to be tucked slightly in and the other side sticking slightly out of its cap. Same thing for the other half of rope seal in the cap. After the main bearings were checked for proper clearance with Plastigage, they were lightly lubed and set into the block and main caps. The crankshaft gets torqued down to 100 lb/ft for the front four journals, and 120 lb/ft for the back one. For an oil pump, I chose a high-pressure unit, TRW #50049. Two different camshafts were used for 1965 GTO engines. Standard 4-barrel carburetor motor used cam #9779067 (stamped "P"). Tri-power engines used #9779068 (stamped "S"). The 1966 Tri-power camshaft is #9785744 and is stamped "H". 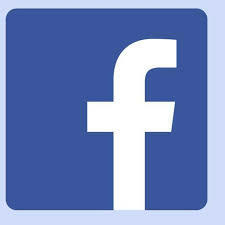 I decided on the #9779068 cam, which is also used in 421 HO engines, and several Ram-Air 3 applications. Camshaft lift at 1.50:1 is .407" intake and .447" exhaust. Duration at .050 lift is 288 degrees. Stock lifters will work fine up to 6,000 rpm. Recommended adjustment is .010" tighter than zero lash. The 10W-30 oil your car left the factory with is not the same 10W-30 that you buy today. There are more flat-tappet hydraulic cam failures than ever before, brought about by the removal of ZDDP additives from today's motor oils. After lubing and carefully installing the cam, a double-roller timing chain followed. The cam gear was set to "0" degrees. Piston rings should be checked in their prospective bores before installing on pistons. Top rings were gapped at .016" and the second rings at .013". A piston ring installer is essential for this. After the pistons and rods were in, the rod bolts were torqued to 45 ft/lbs. 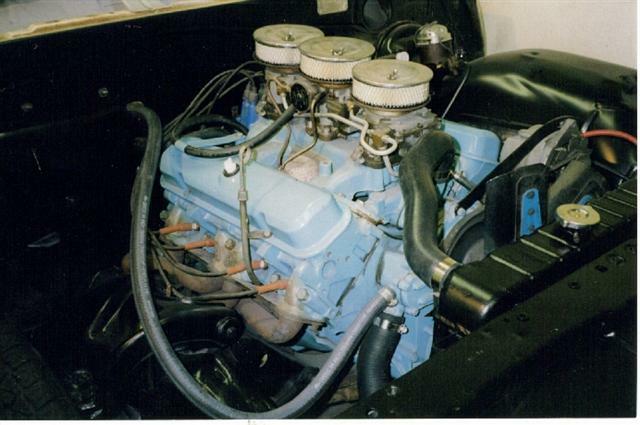 When the bottom end was complete, the outside of the block was thoroughly cleaned and painted the correct Pontiac "Robins Egg Blue". In stock trim, Pontiac rated the 1965 GTO 389ci Tri-power motor at 360 horsepower. In a properly prepared car, that was good for 14-second quarter-mile ETs. But I needed to make a little more power. Correct cylinder heads for the 1965 389 GTO are cast #77 and have 1.96" intake/1.66" exhaust valves. For 1966, most GTO models had a cast #093 head. California-bound GTO's in 1966 had different cylinder heads with an internal air galley. 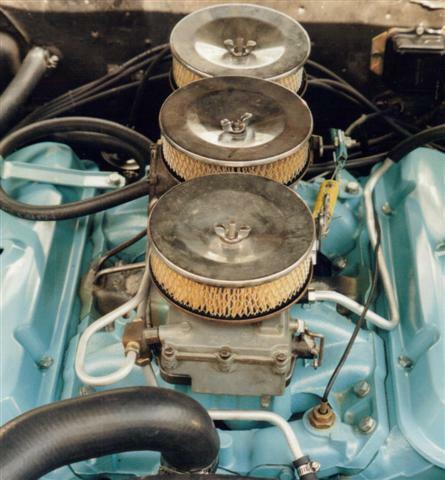 In 1967, the 389 Pontiac engine was enlarged to 400 cubic-inches. Redesigned cylinder heads featured a different valve angle, longer pushrods and longer rocker arms. These were better breathing than earlier heads, and had 2.11" intake and 1.77" exhaust valves. 1967 and up valve covers were redesigned to clear the new valvetrain geometry. 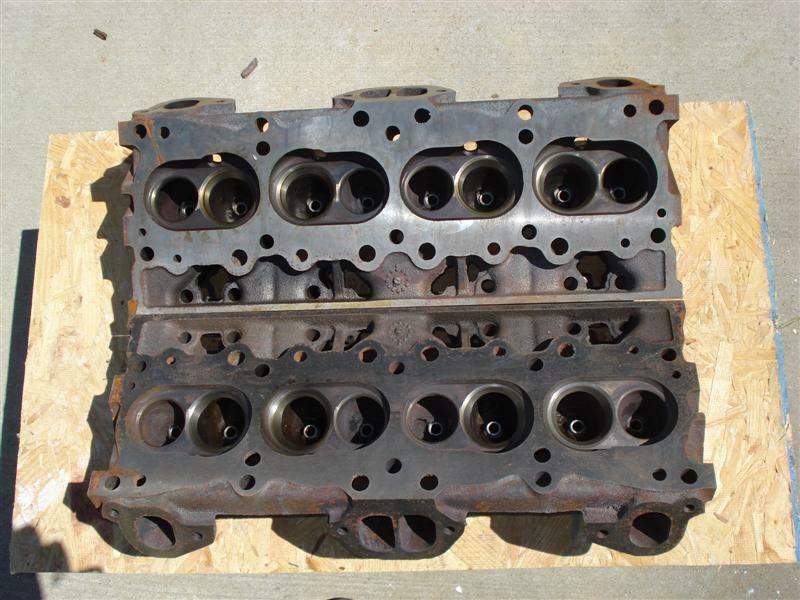 The 389 heads that came with my 1965 GTO were not correct, nor were they in good shape. After doing a little research, I found a pair of 1969 Ram-Air 3 heads (cast #16), which have the large valves and better breathing. They fit on the 389 block with no problems and will work fine, providing you use pushrods, rocker arms, and valve covers for the 1967-up Pontiac 400 motor. Pontiac V8 blocks have just ten head bolts, so correct torquing is critical. On hydraulic cam-equipped motors, rocker arms are adjusted by tightening them to 20 lb/ft. Intake manifold bolts get tightened to 40 lb/ft. After the manifold and carbs were rebuilt and reinstalled, the GTO engine looked, sounded and ran great. The #068 cam gives a nice lumpy idle and all the torque you'd ever need for the street. By using Pontiac Ram-Air 3 heads on the 389, standard Tri-power engine output of 360 horsepower is significantly higher. Chirping tires in four gears is great therapy for whatever ails you! 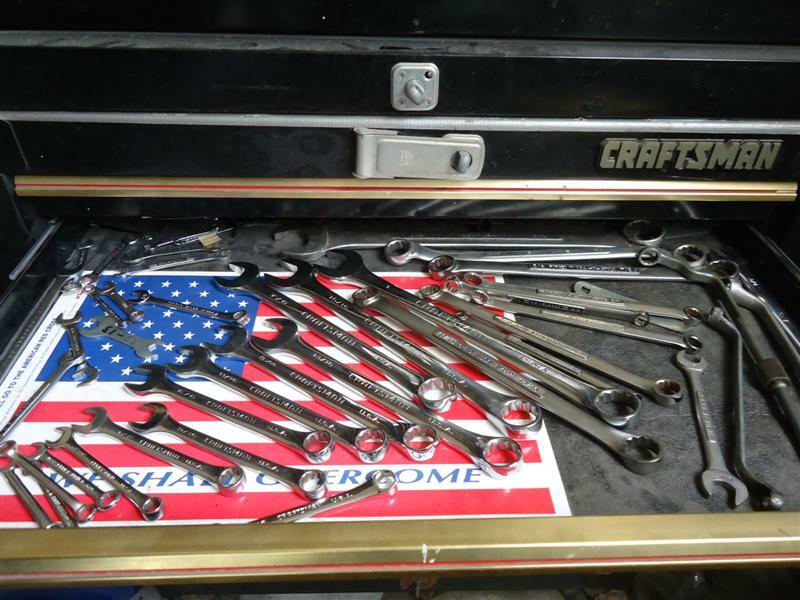 Sockets, ratchets, and extensions in 1/4", 3/8", and 1/2"
Shallow and deep sockets from 1/4" to 1"
Wrenches: open-end and combination, from 7/16" to 1"
Besides a variety of displacements, the Pontiac V-8 block saw a number of other changes over the years, including starter locations, main-journal diameters, engine-mounting points, and transmission bell-housing bolt patterns. Parts interchange is still pretty good, but do your homework before swapping parts.